Your childhood dreams are coming true! There’s no denying Lucky Charms make your morning magical, but what if you could skip the crunchy oat part and dive right into a bowl of just the marshmallows? It’s now possible, thanks to a contest that will give 15,000 Lucky Charms lovers an extra magical breakfast. Winners get their very own box of Lucky Charms Marshmallow Only. No oats! All of 🌈 🌈🌈 and 🦄 🦄 🦄! Join the Marshmallow Only Club! Link in bio for full rules and details! While 15,000 boxes may seem like a lot, you’ll still have to be pretty lucky to win one. Just look for specially-marked Lucky Charms boxes at retail stores nationwide now through summer 2019. Then, find the code on the inside panel and enter it at MarshmallowOnly.com to reveal the result. If you are a winner, a special box of Lucky Charms Marshmallow Only will be shipped right to your door. This is not the first time Lucky Charms has given away marshmallow-only boxes, but there were only 10 winners in 2015 and 10,000 in 2017. This is the largest number of marshmallow-only boxes ever given away and the first time those boxes will be filled with rainbows and unicorns. 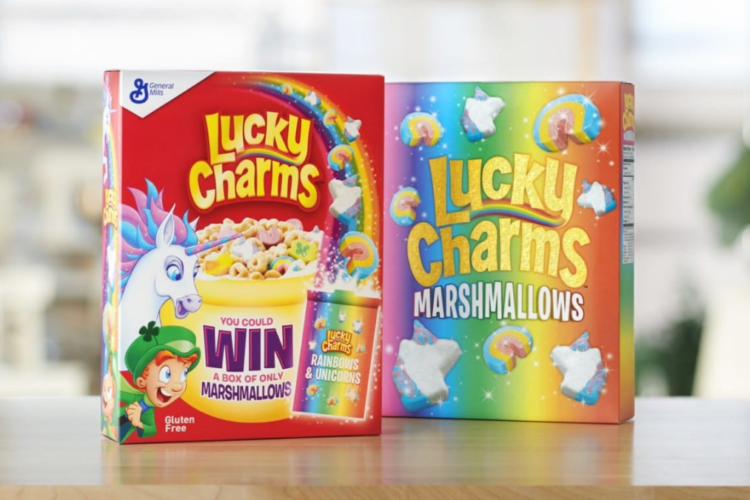 Winners of the limited-edition Lucky Charms Marshmallow Only boxes will also receive membership into the elite Lucky Charms Marshmallow Only Club. While it looks like that doesn’t really mean anything, it still sounds pretty amazing. That’s a club I want to be part of. If you happen to win a box and don’t want to actually just dump them in a bowl with milk (although, why not?! 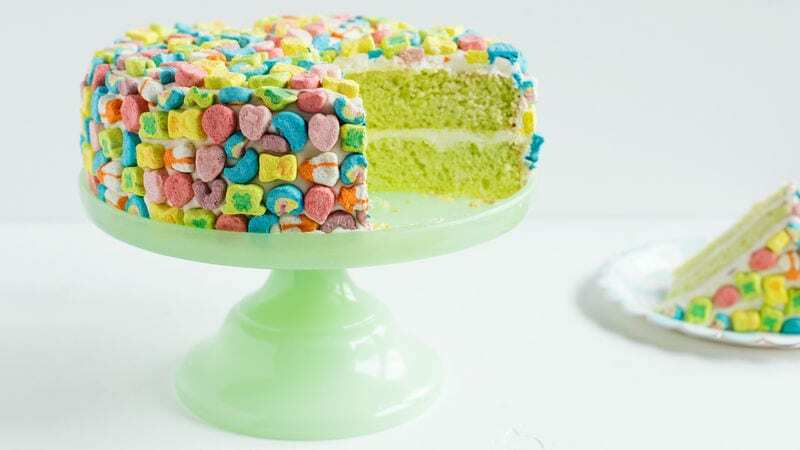 ), here’s a brilliant way to use up any extras — Lucky Charms cake! Yours won’t look just like the picture since the marshmallow-only box just has rainbows and unicorns, but it will be equally delicious and fit for any occasion! 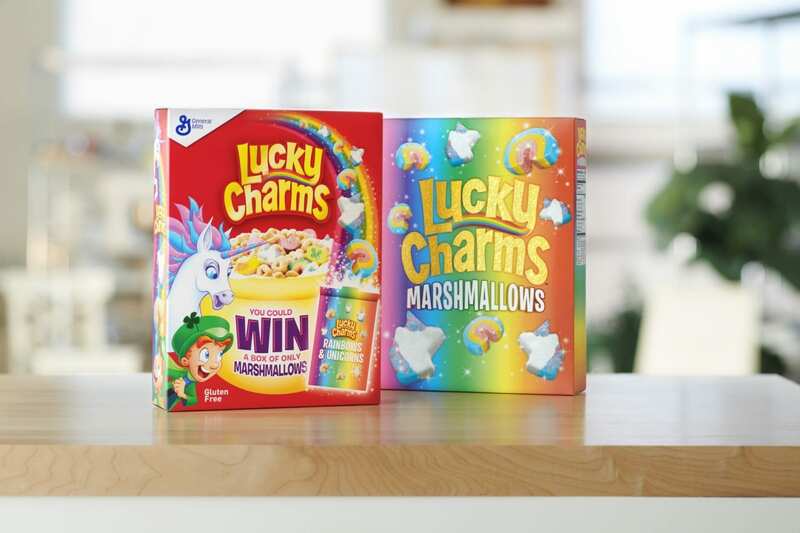 Will you be trying to win a box of these magical marshmallow-only Lucky Charms?